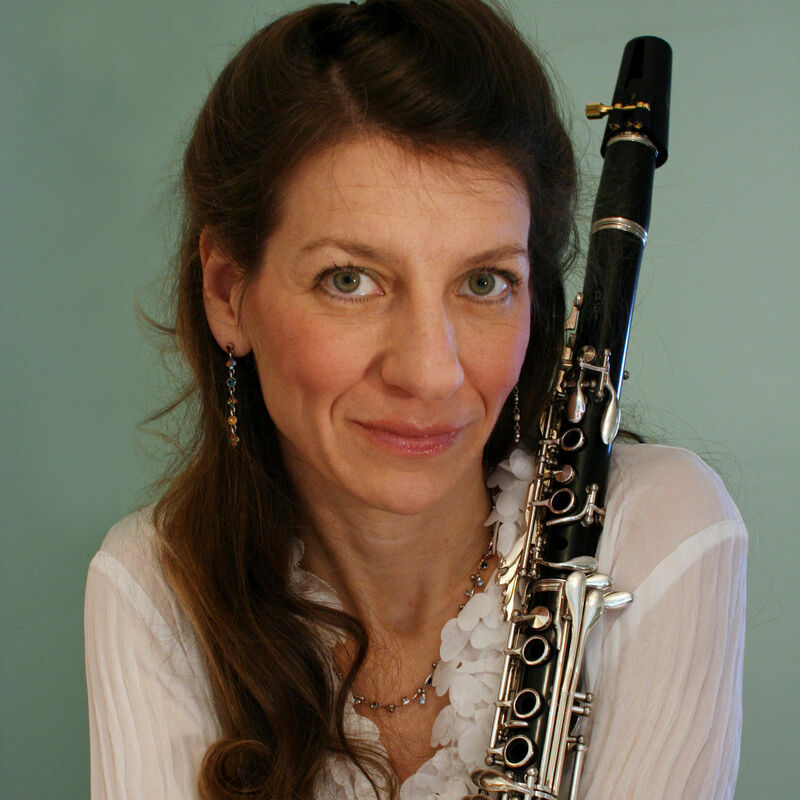 Most recently, Doris won a 2019 Grammy Award as clarinet soloist with “The Crossing” on an Oratorio by Lansing McLoskey titled ZEALOT CANTICLES. Doris can also be heard on the MMC, Naxos and New World record labels. About the recent Naxos recording of Hansen's "Nymphs and Satyr Ballet Suite," Paul Cook of classicstoday.com, was moved to say, "I was particularly taken (by) Doris Hall-Gulati on the clarinet." A new recording of clarinet and bass clarinet works by John Carbon was released in September 2017, and in 2018 she has recorded new works with several composers and is awaiting their release. Doris will be recording new works with “The Crossing” in March, June and September of 2019, as well as Lyric Fest in April 2019. After being awarded First Prize in the Louise D. McMahon International Music Competition, Doris gave her New York City debut, performing the world premiere of John Carbon's "Rhapsody for Clarinet and Orchestra," at Avery Fischer Hall, Lincoln Center, with Gerard Schwarz and the New York Chamber Symphony. About the performance, Allan Kozinn of The New York Times wrote, "... a demandingly agile clarinet line, played with both virtuosity and nuance by Doris J. Hall-Gulati, wove its way through a variegated orchestra fabric." Ms. Hall-Gulati made her Carnegie (Weill) Hall debut playing with the Alaria Chamber Ensemble, and her Merkin Hall debut, premiering Thea Musgrave's "Ring Out Wild Bells," with the Philadelphia Trio. In addition to her position as Principal Clarinet in The Chamber Orchestra of Philadelphia, The Ocean City, NJ Pops Orchestra and the PA Philharmonic Orchestra. Doris is also Acting Principal Clarinet/ Bass Clarinetist of Opera Philadelphia and Assistant Principal/Bass Clarinetist with the Lancaster Symphony. She also performs regularly with the PA Ballet, The Philly Pops, the Delaware Symphony and Orchestra 2001. In 2011, Doris became an Artist-in-Residence at Franklin & Marshall College in Lancaster, PA and is happy to have joined the faculty of the Lancaster Bible College in 2015. An advocate for new music, Doris has performed in music festivals and on multiple Series as soloist and chamber musician throughout the world. Doris is a member of the Fulbright-Hays awarded ensemble Trio Clavino, performing throughout the US, Europe and Asia. Doris also performs annually with Beyond Ourselves, a group of chamber musicians who performs to help raise monies for MCC (Mennonite Central Committee) peace-keeping efforts around the world. In 2018, this four-member ensemble plus guests raised funds for the MCC/MDS post-hurricane efforts in Puerto Rico and Haiti. Doris also spent time in CUBA and BERMUDA in June 2017, volunteering as a clarinet instructor and mentor. Doris earned her Bachelor's degree from the Peabody Conservatory of Music, and she received a Masters in Music studying on a graduate fellowship from the University of Michigan. Doris is a Phi Kappa Lambda. Her principal instructors have been Ignatius Gennusa, Loren Kitt, and Fred Ormand. She was introduced to chamber music by Karen Tuttle, whom Doris greatly admired. Doris and her husband Andy are active in the Catastrophic Relief Alliance. This is a grass roots organization composed of college students and local craftspeople whose mission is to help those in need. CRA strives to provide support by rebuilding homes affected by natural disasters. Their most recent trip was in January 2019, traveling to New Orleans to assist with the continued recovery from the Hurricane Katrina devastation.